Are your profiles compatible with the Bosch brand? 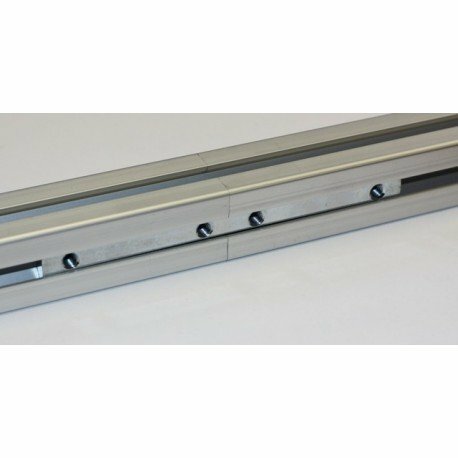 We offer a range of modular profiles of the same type as Bosch Rexroth, which is the name under which these profiles are generally known, but we cannot guarantee 100% compatibility with this brand. If your project involves profiles from other brands (Bosch or others), we strongly advise you to check the compatibility with our products, e.g. with the diagrams. Find out our delivery times. Our delivery prices depend on the length of the profiles ordered and your order total. We currently deliver to France, Belgium, Luxembourg and Switzerland. Delivery fees vary according to the country. If you would like a delivery to another country, contact us. I have not received a confirmation email. Is this normal? After your order has been confirmed, we send you a confirmation email within 24 hours. If you have not received it, please check your spam folder, as it may have been filtered by your email provider. If you still find that you do not have the email, contact us. What is the difference between in-stock profiles and custom length profiles? When you order an "in-stock" profile, your item has a set, pre-cut length. This enables us to offer you much shorter delivery times for in-stock items. Custom-length profiles are cut once your order is confirmed, and so require more preparation time. How long are your profiles? You can choose the length yourself and we will cut it for you! And all this for no extra fee. If the length is too short or too long, you will be informed of the upper and lower limits. Then click on order. A summary will be displayed. Then click on "Add to basket". How can I reduce the delivery fees? 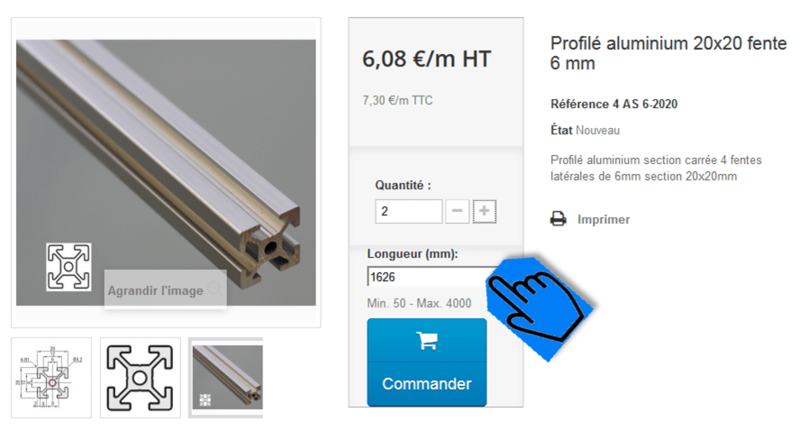 When your profiles are longer than 1000mm (limit imposed by La Poste), the carrier must be Chronopost or UPS. If suitable for your project, you can divide your profiles up and use long nuts in order to join the two parts together end to end. In this way, you will not pass the limit and can enjoy lower delivery fees (see prices). How precise is the cut? Profile cuts are guaranteed to within +/-1mm of the desired length (in practice, the cuts are more precise, around +/-0.5mm). 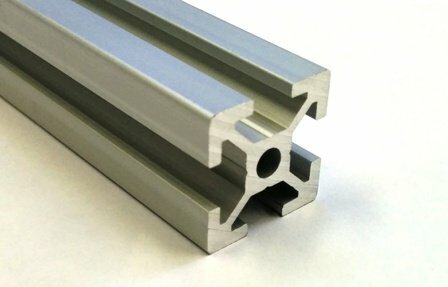 What is the surface finish on your aluminium profiles? Unless otherwise stated, all our profiles have an light grey anodised finish. Yes. As an individual, you can buy directly from our website. Do you sell to professionals/administrations? Or you make a professional account request, which will enable you to order with your order forms with 30 days end of month payment. More information here.